Transmit range: 10M. Bluetooth Version: Bluetooth V3.0. 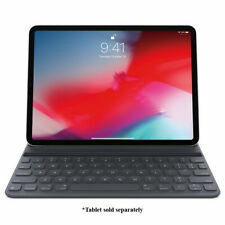 1 x Wireless Bluetooth Keyboard (ipad is not included). 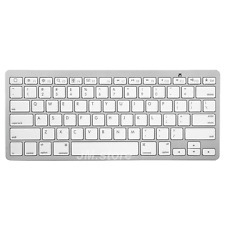 The bluetooth keyboardis super slim size with 78 keys. It will bring you the novel feeling of wireless transmitting. Avoid the unfamiliar way of typing in the iPad on-screen keyboard. The cover makes the iPad look more cool and easy to carry like a notebook. The case supports various different stand-up positions and allows the iPad to be stood-up horizontally and vertically. 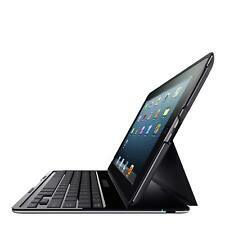 Belkin QODE Ultimate Wireless Keyboard and Case for iPad 2, 3rd Gen and 4th Gen. QODE Ultimate Keyboard Case. The case has AutoWake magnets that turn on your iPad when you open the cover and put it to sleep when you close it. 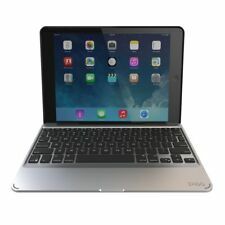 For sale is a ZAGG ZaggKeys ProFolio for the Apple iPad 2nd/3rd/4th Generation devices ONLY! 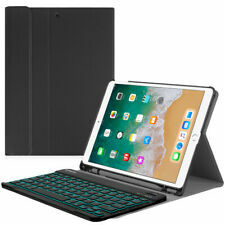 ZaggKeys ProFolio Keyboard Case. It's built for travel and features an ultrathin, lightweight design with patented keyboard technology. Thin: Its ultrathin design is easy to carry when you're on the go. Bright: Backlit, island-style keys maximize space for faster, more natural typing, even in low-light situations. Case Mode protects the iPad and allows users to quickly separate it from the keyboard. For iPad mini, iPad 2/3/4, iPad Air, Air 2, iPad 9.7"
Your device is no longer just a tablet, with this case it is easily converted into a laptop. It is constructed of synthetic leather to ensure long lasting durability and protection. The built-in kickstand allows you to position your device at the perfect angle for viewing or typing. 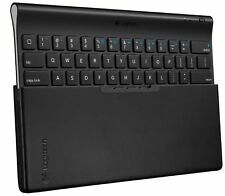 Logitech Ultrathin Keyboard Cover for iPad 2 and iPad (3rd/4th generation). Ultrathin aluminum cover. Type in style with the perfect partner for iPad. And add a Bluetooth wireless keyboard — so you are always ready to type with precision. ZAGG Slim Book Ultrathin Case, Hinged with Detachable Backlit Keyboard. Thin: Its ultrathin design is easy to carry when you're on the go. Case Mode protects the iPad and allows users to quickly separate it from the keyboard. Its the perfect partner for your iPad. The stylish, ultrathin aluminum screen cover feels great and looks even better. Wired/Wireless: Wireless. 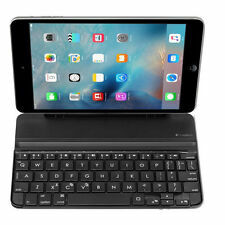 Ipad Case and Bluetooth Keyboard for Apple, iPad and iPad 2. Bluetooth Keyboard Manual. Keyboard: waterproof, dustproof, anti pollution, anti-acid waterproof for selicone part.